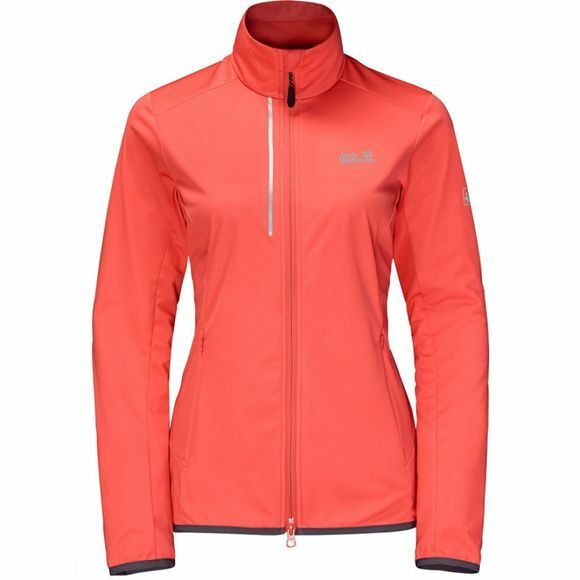 Whether you are out for your morning run or spending the weekend trail running, Jack Wolfskin's Womens Cusco Trail Jacket fits the bill perfectly; in fact, it was developed precisely for high–intensity outdoor sports. At just 250g, the jacket is nice and light with windproof fabric on the front protecting you from wind chill. On the back of the jacket, a functional base layer fabric with Dynamic Stretch properties enhances the breathability and the freedom of movement in equal measure. And when you're pushing hard to do those last few reps, the mesh backed hip pockets provide a welcome flow of fresh air.